'Living product' - can download thousands more content files, including in different languages. * Product life extends over several years for each child. 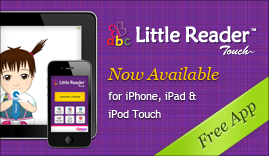 Includes special story books specially designed to teach children to read (in Little Reader Deluxe). Want to EDIT and CREATE your own lessons? Unleash FULL editing features by getting a PRO KEY for LITTLE READER!